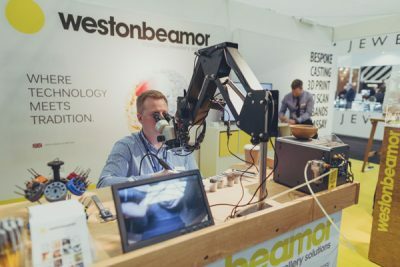 ‘Jewellery & Watch’’ will get the industry calendar off to a successful start at Birmingham’s NEC in February 2019, while new owner, ITE Group, develops a transformative plan to boost the show in 2020. Having purchased Jewellery & Watch and its sister show, Spring Fair in May 2018, ITE Group has outlined ambitious plans to grow both shows with significant investment and a refreshed focus on content. In 2019, Jewellery & Watch will introduce a new seminar theatre, known as The Studio, featuring keynote interviews with leading and emerging designers, along with trend insights to help attendees take advantage of changes in the marketplace. This will be supported by technical and educational sessions, designed to equip retailers with business-boosting insights. Jewellery & Watch will also facilitate easy access to the Main Stage in Hall 20, where a selection of global industry experts will explain what 2019 has in store for the world of retail. 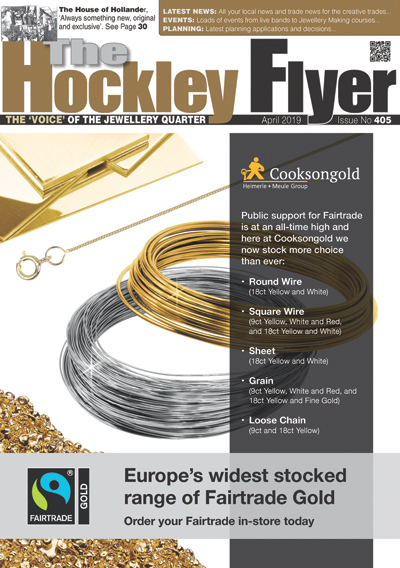 For visiting buyers and retailers, Jewellery & Watch 2019 will offer easier navigation thanks to a new layout, which groups businesses based on specialism and sector. Elsewhere, Jewellery & Watch will reiterate its connection to Birmingham and the Jewellery Quarter with special features and industry collaborations celebrating the area’s 250 years of heritage, which will be announced later this year. The fruits of ITE Group’s investment and new management ethos will be most visible in Jewellery & Watch 2020, although benefits will be seen in the transitional 2019 show. Long-term goals focus on boosting return on investment for exhibitors, creating a content-driven experience for visitors and encouraging further movement of buyers from Spring Fair and into Jewellery & Watch. “We are excited to see where the investment, energy and positivity of ITE Group takes Jewellery & Watch in 2019 and beyond,” says Jewellery & Watch Event Manager, Kirsty Broere. “Jewellery & Watch 2019 can be considered a transitional show, but we look forward to showcasing hints of what’s to come, including a new seminar schedule and a closer relationship with Spring Fair exhibitors and visiting buyers.” Jewellery & Watch 2019 is an ideally-timed and located platform to get the jewellery buying and business calendar off to a flying start. By focusing on diversification and the customer experience, Jewellery & Watch will continue to broaden its base of buyers from across the jewellery, gift and lifestyle sectors. Jewellery brands and businesses located in Spring Fair Halls 19 and 20 include Accessories by Park Lane, Shrieking Violet, Carrie Elspeth and Big Metal London.